Brittney Griner, the top pick in the WNBA draft, and star center of the Baylor University women’s basketball team, came out of the closet and announced that she’s gay. The lesbian basketball phenom made the announcement in a Sports Illustrated interview. The world didn't end. The sun rose again. And Griner's career prospects are as bright as ever. Now, imagine if the No. 1 pick in next week's NFL draft announced he was gay. Imagine if a Super Bowl champion announced he'd be taking his male partner to Disney World. Apocalypse, right? "Don't worry about what other people are going to say, because they're always going to say something, but, if you're just true to yourself, let that shine through," Griner told Sports Illustrated. "Don't hide who you really are." Even as Griner came out, talk continues to swirl about whether certain NFL players may be gay, or whether gay players will need to come out en masse as a means of protection against what's possibly to be vicious backlash, from a segment of fans if not from within the NFL itself. Two sports, same year, different eras. Being gay might not cost you a job in one sport, but it very well could in another. Classifying someone with a handy label spares us the need of trying to understand them as an individual … and perhaps learn that we're not quite so different as we'd like to believe. “If I can show that I'm out and I'm fine and everything's OK, then hopefully the younger generation will definitely feel the same way." That's it. The "younger generation." Griner knows that the key to acceptance is through upcoming generations. There are plenty of people still alive who can remember a time before Jackie Robinson, but for the rest of us, the idea of a segregated baseball field is impossible to conceive. An athlete's sexual orientation shouldn't be a bigger story than what he or she does on the field. If we're going to obsess on players' sexual preferences, Griner's understated stance, and the resulting acceptance, are the way to go. 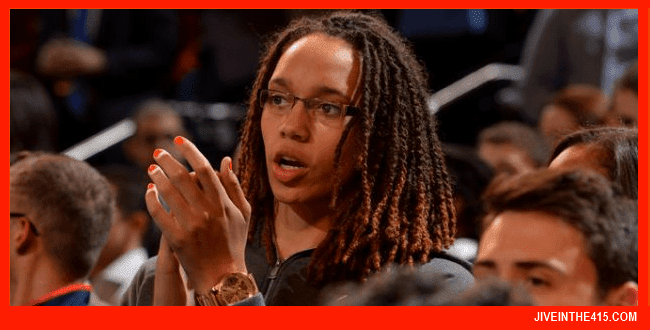 Congratulations Brittney Griner! It’s inspiring for a 22 year old professional athlete to be open about who she is, and I hope that Brittney inspires others to follow her lead.